It’s no secret that the kitchen is my favorite room in my house…I’ve talked numerous times about how sad I was to leave behind the kitchen I designed in our old house in North Carolina when we recently moved to Washington, DC. Despite not having my dream kitchen in our rental right now, I still enjoy spending most of my time there-and engaging my boys to hopefully encourage them to love to cook as well. 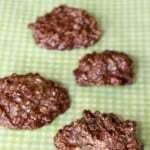 I have to share with you a recent recipe I tried with my boys-Cow Pile Cookies, yeah, they were a hit with the little guys! Okay, so I saw these Cow Pile cookies on The Kitchen and knew my boys would be on board with making these for sure-not only are they chocolatey delicious, but the name alone encourages hours of laughter and giggles. I adapted the recipe a bit by using Nutella instead of peanut butter and adding in some chocolate chips! 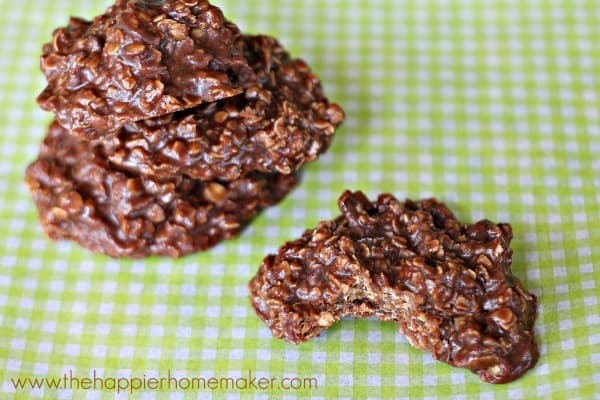 I hope you love these no bake cookies as much as my boys did! 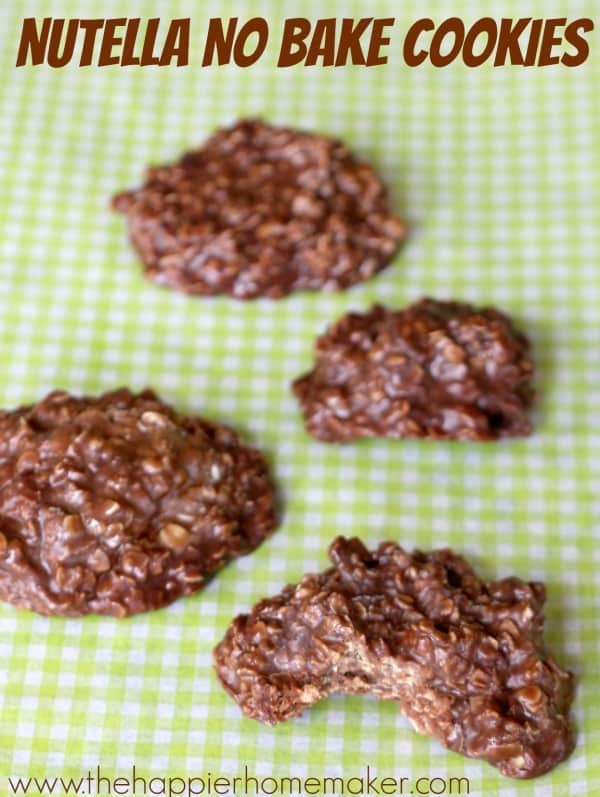 These no bake Nutella cookies are fast and easy enough for the kids to make! In a saucepan combine sugar, butter, milk and vanilla and heat over medium heat until sugar is completely dissolved. Stir in Nutella and 2 1/2 cups of rolled oats and mix until well blended, if mixture is too thin add additional 1/2 cup of oats. Allow to cool/thicken for 10 minutes then scoop spoonfuls onto wax paper lined baking sheet. Allow to cool for one hour before serving.